In the modern age, the size of everything is becoming more user-friendly and keys are no exception. Who knows this better than Sydney locksmiths? Newer cars usually come equipped with smart keys, and you can now unlock your car just by having the key in your pocket and move near your vehicle. We also enjoy the keyless ignition and it’s becoming a standard in latest vehicles. Although a few people still prefer the use of traditional keys, there is no denying the ease smarter keys have provided and it won’t be long before they completely take over. Usually, when people get home they would put their car keys anywhere it’s convenient without putting much thought to it. The problem is, next time you want your car keys you don’t really remember where you put it. For most of us, it takes longer than we think to find keys almost every time. But all this can be avoided with one simple strategy. Place your car keys in the same place every time! It could be anything – a table, a bowl, on the bedside, whatever you think would be easier for you. Just make sure the place is obvious and has easy access. By adopting this habit, you reduce the chances of losing your keys drastically. If you are in the habit of losing your keys often, a good idea would be to make them noticeable. How exactly can one do that? Well, one way would be to attach them to a prominent key chain. Pick a key chain you think will stand out in a way that you remember what it looks like. That way, when you are looking for your keys the next time, you’ll find them with fair ease because you know what your keychain exactly looks like. Another way to prevent losing your keys is to attach them to something you’re less likely to use. An ideal attachment would be your wallet or purse, or you can use a key hook and attach them to your pocket. 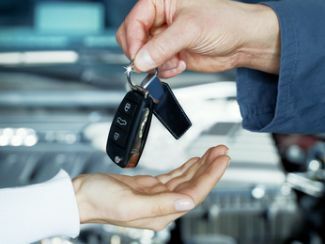 If you still end up losing your car keys, any good Sydney locksmith like NJ Locksmiths can come to your assistance with just one phone call! Save our number for when the time comes 0415 680 062.